WOMEN IN LEADERSHIP AND GOVERNANCE - GLASS CEILINGS OR CLOSED DOORS? There is a debate raging in Britain about the huge lack of equality in the corporate boardroom. Did you know that only 12.5% of Footsie Directors are women? This is inequality - in Norway, there is a law that requires companies to have a minimum of 40% women directors. The Government has set up a special committee under Lord Davies to look into this, and here is a preliminary article in the Guardian . I am very clear that the real problem here is boardroom culture, which is not being addressed by Lord Davies. I do not expect much radical action here - years ago in the mid-90's, there was a Cadbury Committee looking at these Governance issues, and it asked for self-regulation, which usually means no regulation. 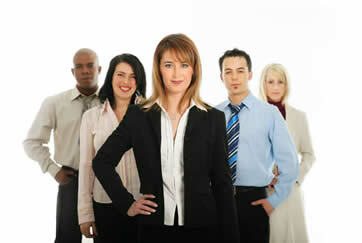 Did you know that the percentage of ethnic minorities in the top 100 companies is less than 5%? And this when most of these companies are global and have global subsidiaries? It shows that power needs to be mono-cultural and male, and that is what is the core issue in Britain, and until it is addressed, not much will change. British companies are still very hierarchical, and boardrooms far from democratic. A diversity of opinion is not tolerated, so how will women or ethnic people be allowed in? Unless of course the women behave like men, and the ethnic professionals are all but white in their culture and outlook. Where there is a concentration of power, and where this is overwhelmingly male, egos are bound to be very big, and this is when accountability slips dramatically. Non-Executive Directors of public companies are there to be a check on this power but guess what - they are all friends of the Board Directors, and rarely challenge the Board, that is why we have so many huge disasters of public companies which for a long time seemed OK, and suddenly fell off a precipice. Challenge in the boardroom is not tolerated, and this is the real crux of the problem. In Germany, there is an independent Supervisory Board of every large company, and this has the mandate to monitor and challenge the Board and its actions. No such independence exists in the UK. Another example of this lack of leadership is the absence of any leadership or vision relating to the big issues of the day like business ethics, diversity, global warming, or poverty and inequality. Corporate Social Responsibility is still a side-spin, and tax avoidance among multinationals is rampant, showing that they do not care about society or government and only about profits and power. We urgently need leaders who will speak up about these issues and lead by example. So I am very clear about where I stand - the British boardroom has to re-examine its own culture and method of operation. It needs to look hard into the eye of power and egoism, and learn about transparency and accountability. It needs to accept that in a global interdependent world, equality is beyond women and should include ethnic professionals and other minorities like the disabled. And I am looking forward to the leadership in this area - it is likely there will be none, so quotas are definitely in order.